A 3D BIM survey solution for high risk, complex heritage environments. Involves the redevelopment of the City’s Grade-I listed Temple Meads Railway Station into a world-class railway hub - a development integrated within the Temple Quarter Enterprise Zone master plan. 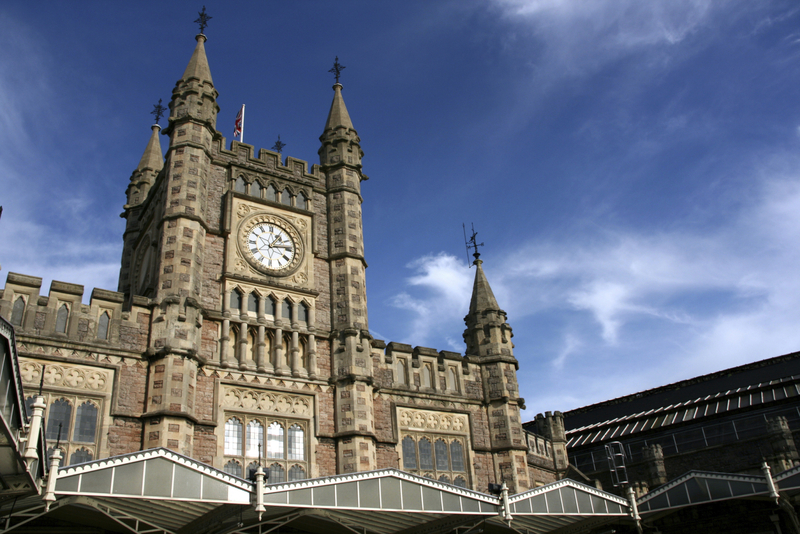 Network Rail is planning to redevelop the City’s Grade-I listed Temple Meads Railway Station into a world-class railway hub - a development integrated within the Temple Quarter Enterprise Zone master plan. The major transformation will involve enlarging the station area to significantly increase the level of rail services as part of its expansion strategy for the Western route. As part of the proposed renewals work, lead designers Arup, appointed by Colas Rail-Morgan Sindall Joint Venture (CRMS-JV), required measurement survey data which accurately reflected the stations present layout and current built environment. Existing information proved outdated and incomplete, and the requirement was key in achieving a number of desired objectives for the project. One clear sustainable outcome is a prerequisite for the building to have minimal maintenance over the next twenty five years. It is an objective to achieve this through renewal of existing mechanical and electrical services, and the refurbishment and repair of the building fabric and structure. On completion of the measurement survey phase, the data would also provide Network Rail with the basis for on-going asset management of the station. In order to achieve the critical “completion of work” date, ensure complete capture of accurate survey data and take heritage detail and requirements into consideration, Arup sought a 3D BIM measurement solution of the existing complex structural environment. In most cases, this would be something not generally considered due to its perceived difficulties in collecting and representing the data. Plowman Craven was commissioned to provide a 3D BIM survey solution in Revit utilising the latest 3D terrestrial Lidar scanning technology. Laser scanning was the only viable solution to collect the vast amounts of data required of the complex and high risk station buildings, tunnels, vaults, platforms, plant rooms and barrel roofs. By obtaining 1,000,000 coordinated points a second, Plowman Craven’s specialist scanning teams ensured the collection of accurate and up to date information within the required timeframe – including a full set of data for areas where access was limited or restricted. The resulting completeness of data not only provided an archive of additional asset information to be used in the operation and maintenance of the environment, but would also provide permanent ‘point-in-time’ archive for heritage recording and restoration. As asset steward for this grade 1 listed building, Network Rail is in the process of producing short, medium and long term asset management and conservation plans for the station. Applying BIM principles has been a key part of this development work. Commissioning and delivering the 3D modelling was an essential early objective, and will greatly assist in developing all future maintenance, renewals and enhancement strategies for both the station buildings and the wider Bristol enterprise zone. As the Client, I have been delighted with the results produced to date. Key to the success in the delivery of the BIM-ready survey was that all team members had a clear understanding of what was to be delivered, the accuracies required and the critical milestones of the project. A comprehensive and thorough Lidar survey and modelling specification was developed by Arup and in collaboration with all project stakeholders, utilising client specifications and requirements, plus the Plowman Craven BIM Survey Specification which outlined all aspects including modelling parameters, phasing, families and level of detail. Having a clear understanding and agreement with all parties at the beginning of the survey phase meant considerable time was saved on site and in delivery of the Revit Model. Clear financial savings were made in not having to re-visit the site, re-work or carry out additional modelling. In order to assist and enable the project to continually hit its milestones, it was agreed that provisional delivery and access to the raw scan data (point cloud) was essential whilst the model was being constructed. With each team member having access to TruView™, the scanned site could be accessed and viewed remotely. As agreed in the initial collaborative meetings with Arup, both Architectural and MEP models were delivered to the relevant team members. These models were all geometrically referenced on one coordinate system, but had the key benefit of being individually structured to meet specific requirements for the designs and renewals. 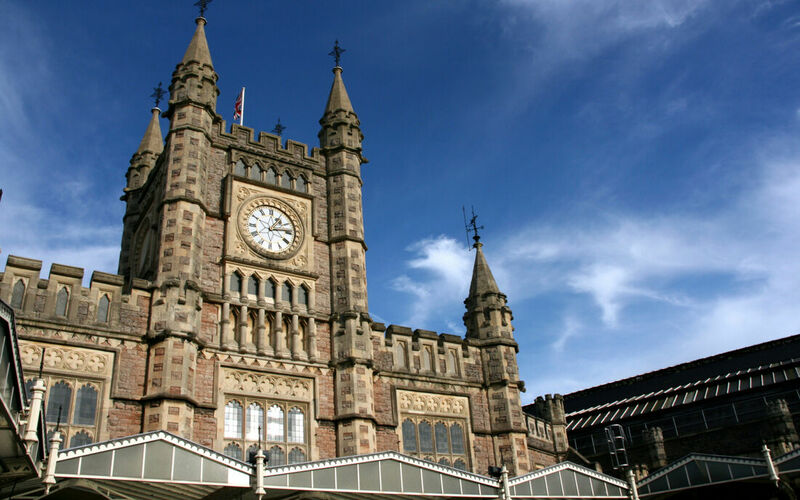 A consistent approach and agreed formats to the modelling provide the platform from which all geometric data can be based, both for this project and for continued operation and maintenance of Bristol Temple Meads Railway Station. The delivery of a BIM ready model at the front end of the project has proved to be essential and critical for design and in the long term for maintenance. Delivery of BIM for an existing structure has had its detractors and many still say that BIM is only relevant to new design. 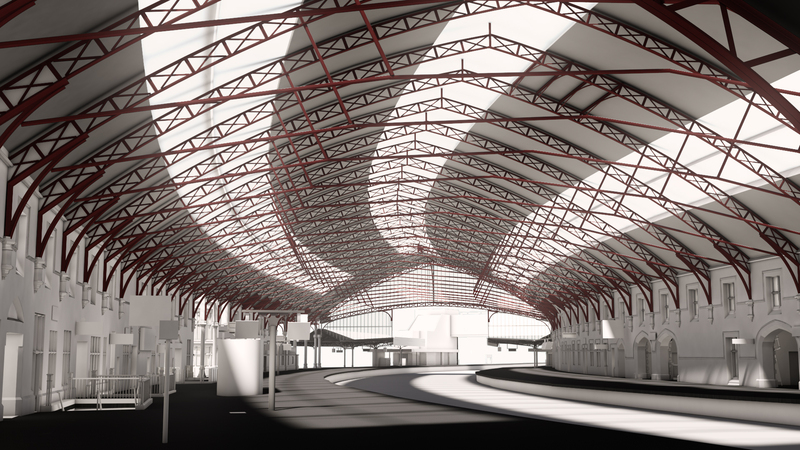 This BIM survey, delivered in Revit, has shown that there are solutions for infrastructure and buildings in a complicated, high risk, heritage type scenario and could be the blueprint for Network Rail station developments in the future. 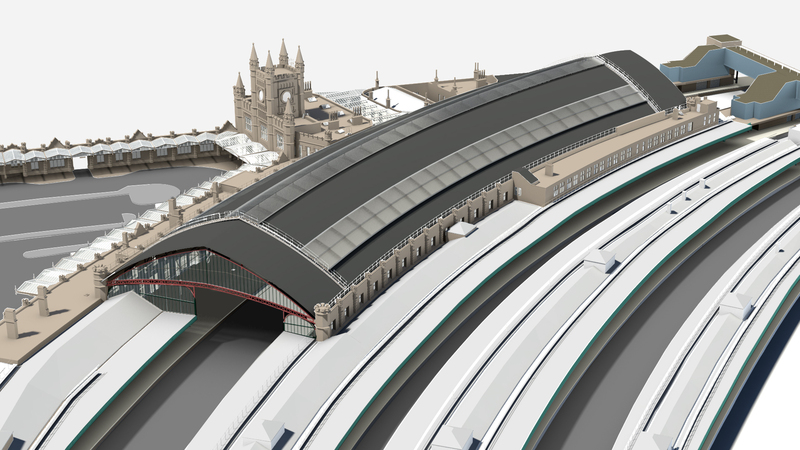 For the first time in Bristol Temple Mead's 170 year history, a complete survey has been carried out and an accurate three-dimensional model produced for the complex multi-level station layout. The model forms the basis for the renewal works as well as being integral to Network Rail’s asset management strategy. Utilising the BIM environment is proving invaluable in interdisciplinary coordination and stakeholder engagement and brings efficiencies to the design. As the station model evolves to contain more asset information and is utilised for cost and time sequencing, Arup continues to recognise numerous benefits to taking a BIM approach from the offset and throughout the project lifecycle.